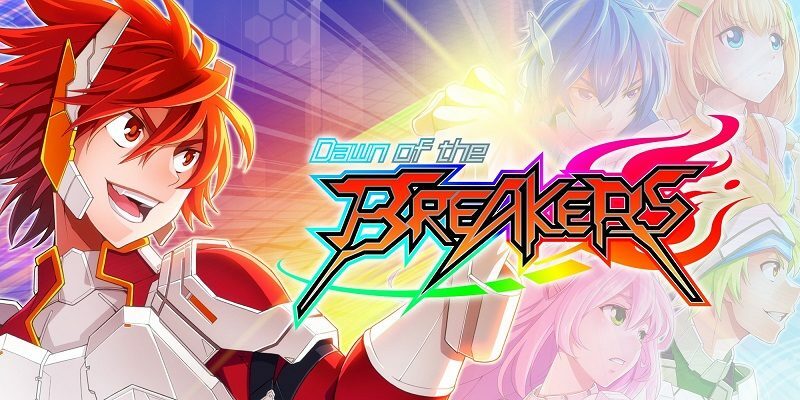 On this page, you will find all there is to know about the Software updates for Dawn of the Breakers on Nintendo Switch (originally released on July 5th 2018 in Japan, and July 27th 2018 in Europe and North America). How to download updates for Dawn of the Breakers for the Nintendo Switch? ・The Limited Time Hololive Crossover Capsule II is now available. ・The Limited Time Special Bundle (Episode 2) is now available. ・The Limited Time First Purchase Campaign (Episode 2) is now available. ・The Limited Time Special Login Campaign (Episode 2) event is now available. ・The Limited Time First Purchase Campaign (Episode 1) has ended. ・Fixed an issue in which Heroes or Equipment with no expiration date could not be retrieved from the in-game Present Box once the maximum item capacity had been reached in a player’s inventory. Additional notes: update does not require a client update. ・Additional quests have been added to the Event Scenario. *Unlock Requirement: Available after completing Part 13 of the Event Scenario. ・New limited time Co-op Quests have been added to the Co-op Quests section. ・The following adjustments have been made to Fubuki Shirakami’s Hololive Gamer form. ・Attack Power of the Basic Skill’s second and third combo has been increased. ・Due to an issue wherein players were able to launch an unintentional stage of the Basic Skill attack despite having insufficient SP, the SP consumption rates of the Basic Skill have been adjusted. ・Hololive Crossover Capsule Ticket Giveaway! Once per day, log in between 18:00 – 24:00 during the event period and receive a Hololive Crossover Capsule Ticket which can be used to pull from the Hololive Crossover Capsule. Receive up to 7 Hololive Crossover Capsule Tickets during the event period! Log in every day and take a shot at acquiring the exclusive forms available in the Capsule! Begins (UTC-7) 02:00 on 4/10/2019 (Thu) until Local Time 24:00 on 4/17/2019 (Thu). ・The Home button has been added to the Capsule screen. ・A new feature has been added to allow players to directly access each activity from any screen. Press the Home button to directly access available features. In addition, you can now press the Home button twice to return to the Home screen. ・Fixed an issue in which wearing certain equipment would reduce a Hero’s stats below 1. ・Fixed an issue with the hitbox of certain skills, which resulted in them not dealing damage when used in the Arena and Co-op Quests. ・Fixed an issue in which unintended actions would occur when skills were used by certain Heroes. 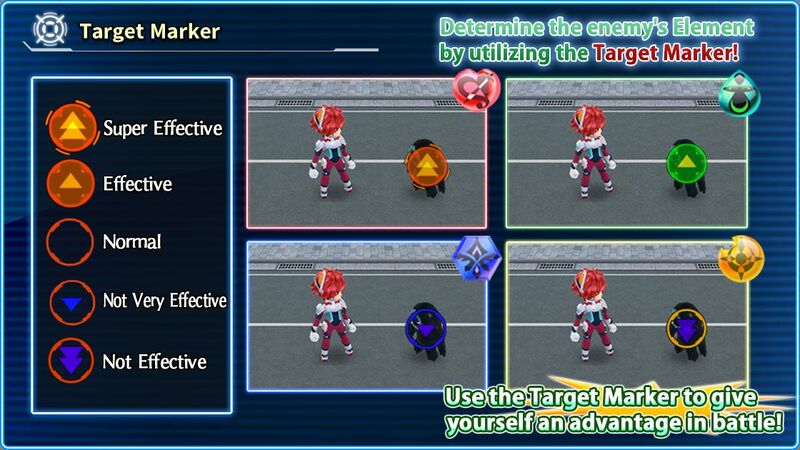 ・Implemented measures which improve the responsiveness of the player character’s AI when using Auto Mode in battle. ・Improved the input functionality of the Virtual Gamepad to make it easier to perform a basic combo. ・The New Recruit Quest Clear Bonus is now available. 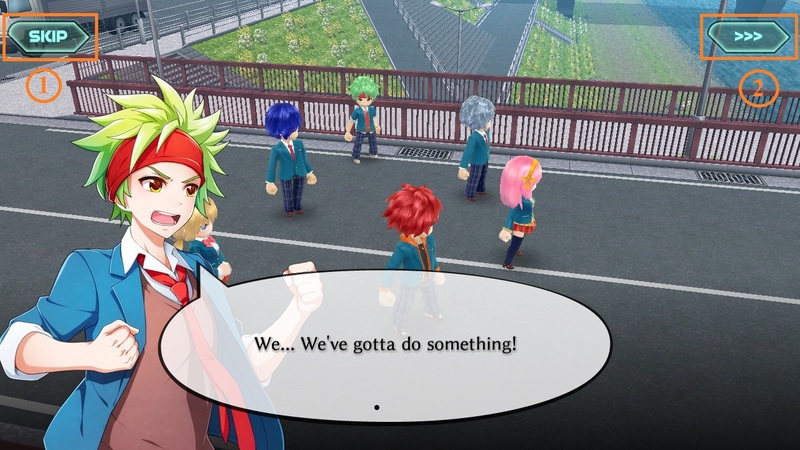 ・The option to skip an entire cutscene is now available. *The option is unavailable in Tutorial and Event Scenario cutscenes. The previous “SKIP” button has been renamed “>>>” to accommodate the change. 1. Skip an entire scene. ・The skip cutscene and fast-forward feature can now be selected on the first playthrough of a quest. ・The “Result” option can now be selected immediately after the Capsule pull animation is complete. ・The Auto Battle feature, in which AI will play through the battle, is now available. The active Hero can be controlled at any time, as player input will take precedence. *Available after completing Episode 1 Part 1. ・Fixed an issue in which a Capsule Ticket could not be used to pull from the White Day Spotlight Capsule. White Day Spotlight Capsule did not have an Aerial Skill description in the Hero profile. ・The Limited Time White Day Bonbon Hunt event is now available. ・The Limited Time White Day Spotlight Capsule are now available. ・The Limited Time Special Bundle is now available. ・The Limited Time Revenge! Boss Rush! event has ended. ・The Limited Time Special Bundle (Revenge! Boss Rush!) has ended. ・Fixed an issue in which items could be purchased from the Lab at a different rate than intended. ・Fixed an issue that prevented players from completing the Lab Tutorial. ・Fixed an issue in which part of the Lab menu displayed in Japanese. ・The Limited Time Revenge! Boss Rush! event is now available. ・The Limited Time New Recruit Support Missions! are now available. ・The Limited Time HimeHina x Dawn of the Breakers Collaboration Event has ended. *The Item Exchange will remain available until (UTC-7) 22:00 on 3/13/2019 (Wed). ・The Limited Time HimeHina Collab Capsule has ended. ・The Limited Time Bonus Spirit Gem Campaign has ended. ・The Limited Time HimeHina Collab Capsule Ticket Giveaway is now available. ・The [HimeHina -Original-] Ultimate Skill will no longer automatically tag in the Hime or Hina forms. The tag in effect will now only activate for this skill when the Ultimate Skill is activated again during the attack animation. ・The recommended BP level of The Rabbit, The Carrot and HimeHina Co-op Quests has been changed. The Rabbit, The Carrot and HimeHina. ・Online matchmaking and ranking on the Steam version will now connect to the same server as other platforms. ・Fixed an issue in which the Link Account feature would occasionally fail when attempting to link a Nintendo Account to a separate device following the maintenance ended 2/22. If you previously experienced issues with linking your Nintendo Account user data to a separate device, it can now be linked by accessing the Link Account feature from your device once again. ・Implemented measures to prevent the amount of connection errors experienced when playing multiplayer modes. ・Fixed an issue in which the Valentine’s Day Spotlight Capsule and Valentine’s Day Chocolate Hunt event Item Exchange had disappeared from the game. ・Fixed an issue in which Awakening a Hero during the Awakening tutorial would not increase progress of the related Missions. ・Fixed an issue in which an error would occasionally occur after completing a quest. ・Fixed an issue in which the “Move” option could not be selected on the Quest Map when using a controller. ・The Limited Time HimeHina x Dawn of the Breakers Collaboration Event is now available. ・The Limited Time HimeHina Collab Capsule is now available. ・The Limited Time Bonus Spirit Gem Campaign is now available. ・The Limited Time Special Login Campaign is now available. ・The Limited Time Event Rankings are now available. ・Team Members will now use their Ultimate Skill after falling below 50% HP. ・The Repeat Missions feature has been changed. Before：Progress made beyond the requirements for a Repeat Mission would be reset after completing the mission. After：Progress made beyond the requirements for a Repeat Mission will now be counted as progress towards the next Repeat Mission after completion (only for the same mission). ※Progress made beyond the Mission requirement before the maintenance will not count towards the next Repeat Mission. ・The Limited Time Valentine’s Day Chocolate Hunt has ended. ・The Limited Time Valentine’s Day Spotlight Capsule has ended. ・The Limited Time Vita Element Spotlight Capsule has ended. ・Fixed an issue in which players were sometimes unable to select a path to follow upon reaching a fork on the Quest Map. ・The Roulette has been changed. ・Main menu features which have not yet been unlocked will now display with a gray icon on the home screen. ・The following main menu features can now be unlocked after completing the new requirements below. ・Fixed an issue in which an item was missing from the Valentine’s Day Chocolate Hunt Item Exchange. The Awakening Star Crystal -Fortune- has now been added. ・Fixed an issue in which quests would automatically be abandoned after resuming a battle from the pause state, despite the 24 hour limit not having been passed. ・Improved server stability and performance for multiplayer modes. ・The Limited Time Valentine’s Day Chocolate Hunt Event is now available. ・The Limited Time Valentine’s Day Spotlight Capsule is now available. ・The Limited Time Vita Element Spotlight Capsule is now available. ・The Limited Time Terra & Fortune Element Spotlight Capsule has ended. ・Fixed an issue in which a portion of Android devices would occasionally display a black screen on the Home screen. ・The Limited Time Terra & Fortune Element Spotlight Capsule is now available. ・Account Linking for the Nintendo Switch is now available. Cosmic Encounter: Light and Darkness has ended. *The Item Exchange will be available until 2/13/2019 (Wed). ・The Limited Time Cosmic Break Collab Capsule has ended. ・Fixed an issue that would prevent a device from loading Dawn of the Breakers if the device’s language setting was not supported within the game. ・Fixed an issue in which the BGM would stop playing on the Mission screen. ・Fixed an issue in which a Dash performed using the Classic Touchscreen control scheme would occasionally fail to register in the correct direction. ・Fixed an issue in which the Repeat Mission “Complete 5 Co-op Quests!” would display an incorrect completion percentage for iOS players. ・The Virtual Gamepad Function is now available. ・Shortened the transition animation when moving between menus from the Home screen. *This change may be subject to change in the future based on player feedback. ・Increased the movement speed of the player character on the Quest Map. ・A “Search Rooms” function has been added to the Co-op Quest menu. Available rooms can now be viewed in the lobby after selecting “Search Rooms”. The matchmaking system has been removed in accordance with this update. ・Fixed an issue in which a Dash would occasionally fail to register in the correct direction. ・Fixed an issue in which the Special Daily Missions would appear after the campaign period. ・Fixed an issue in which the “Skip Cutscene” option could be selected before completing a quest. ・The Limited Time Fate Element Spotlight Capsule has ended. Cosmic Encounter: Light and Darkness is now available. ・The Limited Time Cosmic Break Collab Capsule is now available. ・Reduced the load caused by having a large amount of Heroes and Equipment in the inventory. ・Fixed an issue in which the Repeat Mission “Complete 5 Co-op Quests!” would display a negative completion percentage. *The Repeat Mission has now been implemented once again. ・Fixed an issue in which the game did not start after tapping on the title screen once on some devices. ・Fixed an issue in which the game did not start after downloading an update on some devices. ・The following Special Daily Mission has been changed. Complete 3 Co-op Quests! → Play 3 Ranked Matches in the Arena! ・There will no longer be a momentary pause after using Assist and Ultimate Skills in Co-op Quests. ・Special Daily Missions are now available for a limited time! ・The Fate Element Spotlight Capsule is now available for a limited time! ・Fixed an issue in which there was a portion of the hitbox for [School Girl Artillery]‘s Rush Skill that did not deal damage. ・Fixed an issue in which an Assist Hero would not automatically tag in to replace [Winter Star] after being defeated in battle while her Deployment Skill was active. The tag in issue persisted until the present box detonated. ・Fixed an issue in which the animation for the 3rd attack of [Gothic Marionette]‘s Basic Combo had stopped displaying correctly. ・Account linking to the Player Site is now available. Link your account to the Player Site and receive a 100 Spirit Gem present! *Players who have previously linked their accounts are also eligible. **Account linking for the Nintendo Switch will be available at a later time. ・The Dawn of the Breakers x Toreba Campaign is now available. ・The recommended BP cost of certain Daily Quests have been reduced. ・The stamina cost of event quest “VS God of Time” on normal difficulty has been adjusted to 10 LP. ・Fixed an issue in which the “Item Exchange” option in the Lab was displayed in Japanese. ・Fixed an issue in which the Hero [Defense Secretary] and other forms of Shizuka Mikami could be used in the same Team Composition. ・Fixed an issue in which the app would occasionally stop responding at the “Results” after exchanging Gemstones. ・Fixed an issue in which an error would occasionally appear after entering the Player Name in some mobile devices. ・Fixed an issue in which Ultimate Skills and Assist Skills used in the Arena and Co-op Quests would occasionally fail to activate despite depleting the corresponding gauges. ・Fixed an issue in which the incorrect amount of Event Items were required to exchange for the Gemstone of Hero [Wicked Blade]. The Limited Time Christmas Event, The Distant, Eternal Beyond is now available. ・The Limited Time Capsule, Christmas Spotlight Capsule is now available. ・A Limited Time Christmas Event Ranking is now available. ・”Following” a friend will now become available after reaching Player Rank 2. ・A “Collect All” function has been added to the Mission tab. ・Fixed an issue that first began following the maintenance ended 12/18, in which the accumulated damage dealt after being forcibly knocked down during an attack in the Arena was incorrect. ・Fixed an issue in which the sell value for the Augmented Tanuki item was incorrect. ・Fixed an issue in which Spirit Gems could not be purchased on the Android & iOS versions when starting the app for the first time. We have removed the Mission “Complete 10 Co-op Quests” added after the maintenance ended 12/18 due to an issue. The Mission will be made available again once the issue has been resolved. ・The Limited Time Capsule, the Dawning Spotlight Capsule is now available. ・A Special Launch Celebration Login Campaign has begun. ・A 72 Hour Launch Celebration Package has been made available for purchase in the in-game Lab for 150 Spirit Gem (Premium only) upon launching the game. ・New Recruit Support Missions, beginner missions for new players have been added. ・Repeat Missions have been added. Repeat Missions are repeatable missions that can be completed multiple times to earn rewards. ・Arena Rules have been changed. ・Added an effect to stages to indicate areas that cannot be reached. ・Implemented a new type of Experience Material that can be used on Heroes up to certain levels. ・Adjusted the amount of HP recovered after completing a battle in quests. ・It is now possible to activate an Assist Skill while being attacked during quests. ・Implemented brief invincibility when getting up after being knocked down. ・Changed the timing of LP being consumed in Co-op Quests from the moment of dispatch, to when the quest has been completed. ・Adjusted battles so that the timer will pause when the animation for Bosses entering the stage begins. ・Increased the amount of time available to complete some quest battles. ・Lowered the parameters of enemies in some quests. ・Equipment drops from Hard Mode quests will now grant higher EXP than normal Equipment when used as a Source material in Equipment Enhancement. ・Fixed an issue in which Stamps would not show up during Co-op Quest battles. ・Fixed an issue in which unintended actions would occur when certain heroes attacked during certain movements. Additional notes: update is required in order to keep playing. The option to Try Again will no longer be available for quests that only feature a battle. Dawn of the Breakers – Ver. ??? The Team Leader may now tag in an Assist Member during battle! While it was previously only possible to play the Leader character, you may now play as various heroes on your team using the Tag Team System! Upon tagging in a different hero, the current HP and status will immediately shift to reflect the tagged in hero. The Continue system has been redesigned. If the Team Leader or active hero is defeated in battle, an Assist Member will now automatically tag in to replace the fallen character. The “Continue” screen will now display after the Team Leader and all Assist Members have been defeated. Press the A, X or Y Button while holding the L Button to tag in an Assist Member from your team. Tagging a hero in or out will initiate a 10 second global cooldown. 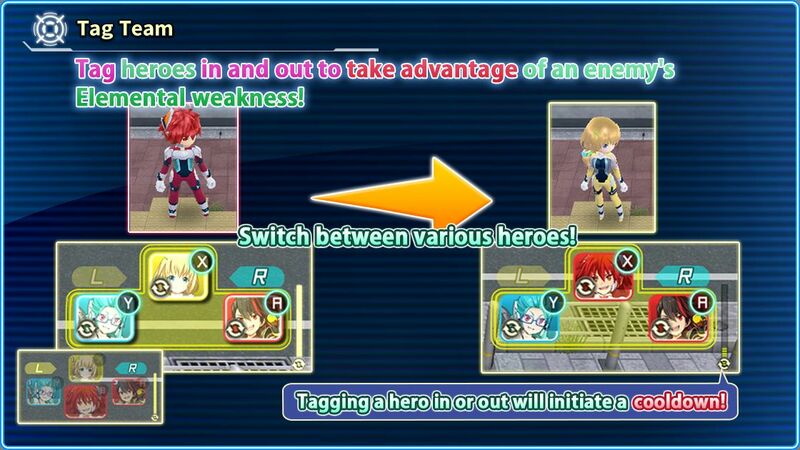 Using an Assist Skill will also initiate the global cooldown for the Tag Team System. Knocked out heroes cannot be tagged into battle. The Assist Skill Counter will not reset after a hero has been tagged in or out. An Assist Member can be tagged in even if the Assist Skill Counter is at 0. This does not apply to heroes who have been knocked out. The Assist Gauge of all Team Members will continue to charge after using the Tag Team System (excluding the hero tagged in). The Ultimate Skill gauge will reset upon tagging in a different hero. The Support Hero will appear when the active Hero has reached under 50% or 25% health. 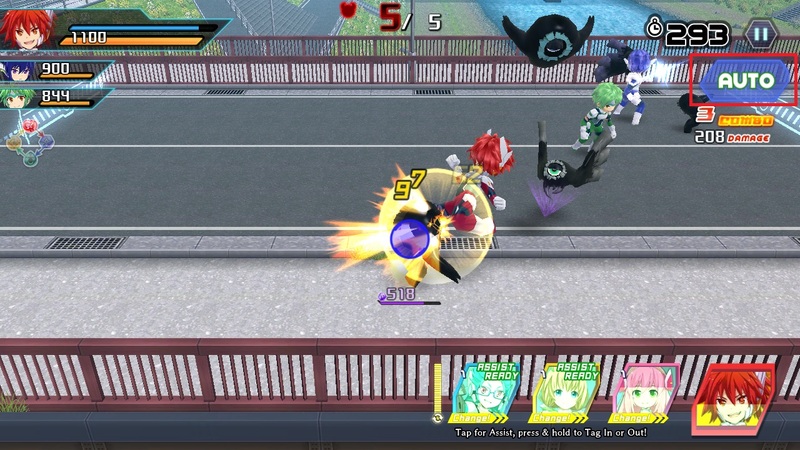 The HP for all 6 characters, including Assist Members, will be displayed at the top left of the screen. HP lost or gained from Quest Skills, Heal Tiles, Accident Tiles, and more, will apply to all characters on the team (including Assist Members). The HP a character (including Assist Members) has lost or gained in Battle Tile encounters will carry over after each encounter. Members who remain knocked out at the end of a battle will automatically be restored to 1 HP. The active Hero will revert back to the Team Leader at the end of a battle. 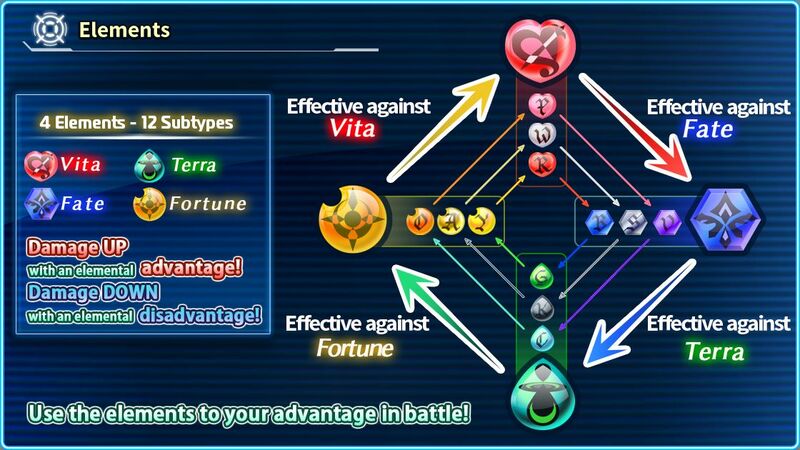 The Elemental Affinity of the 4 Elements (Fate, Vita, Terra, Fortune) and 12 Subtypes has been adjusted. Tag heroes in and out to take advantage of an enemy’s Elemental weakness! 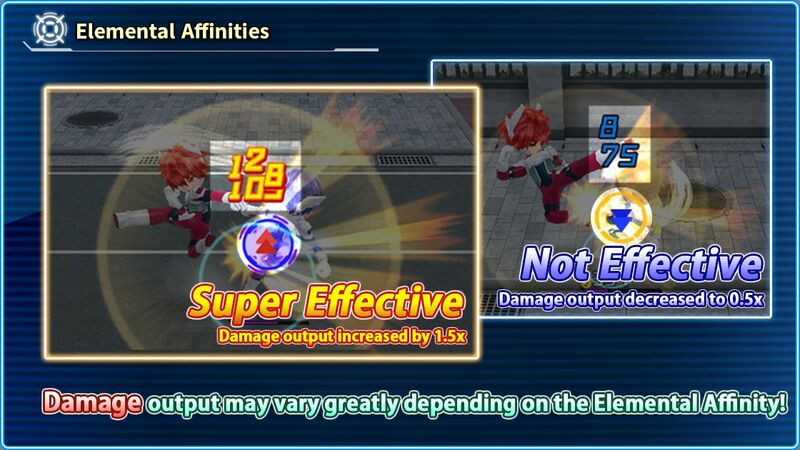 In addition, Elemental Affinities can easily be determined by checking the color of the Target Marker and the text color for damage values. The option to Try Again for free has been removed. The stat bonuses previously granted when trying again have been removed. Players will now keep their Quest Skill effect bonus if one is applied, and the entire team’s HP will be fully restored. The LP cost of all quests has been reduced. The HP of all enemies in Story and Co-op Quests has been increased. Team Members will now respawn with 50% HP, 30 seconds after being knocked out in battle. Additionally, Members who remain knocked out at the end of a battle will automatically be restored back to 1 HP. Players will now always land on Event Tiles on the first attempt of a Quest. Event Tiles in Hard Mode will now change into a Random Tile on the map. Receiving damage will no longer charge the Assist Gauge. Members will now locate enemies from a wider range, allowing them to find enemies more easily. Added a function which emphasizes the Element of the active Hero in the Elemental Affinity Chart during battle. Heroes will be now be set to a specific level in Arena matches. Stats from Equipment, Awakening and Limit Break will be reflected in battle. The Team Gauge will now receive a bonus increase after defeating all of the opponent’s heroes in a Ranked or Casual Arena match. Teams may now be shuffled according to rank during Arena matchmaking to provide a more balanced match-up. Repeatedly disconnecting from Arena matches early will result in a penalty which temporary prevents matching. The maximum Team Cost has been increased. Damage output has been increased for all skills used by the Leader, excluding the Basic Combo. SP will now recover gradually while moving. A successful Guard will now block all incoming damage. Added the feature “Perfect Guard” in which a successful well-timed guard will restore SP. Damage values for the Leader will now be displayed in larger size text in contrast to all other combatants. Updated the Battle UI so that icons for status effects from Quest Skills and Quest Map Tiles no longer display on the upper left of the screen. Fixed an issue in which the Quest Reward dialog did not display after completing a Co-op Quest. Please note that items were rewarded regardless of the above issue. An icon will now be displayed to indicate the Element required for equipment. Hero illustrations can now be viewed by selecting “2D” in the Hero’s profile. The option to Display/Hide the Ranking Result has been added to the Settings section of the Menu. Some fonts in the game have been updated. Fixed an issue in which rankings did not display when a large number of players were at the same rank. When selecting a Source for “Enhance Hero” and “Awaken Hero”, an icon will now be displayed for Heroes that are in the party. When selecting a Source for “Enhance Equipment”, an icon will now display for Equipment in use. It is now possible to view details for Heroes and Equipment unavailable for selection. The option to Display/Hide the Skill Log has been added to the Settings section of the Menu. Made several adjustments to dialogue text in Quest Map Event Scenarios for Episode 2 and 3. Fixed an issue in which the camera would occasionally go out of focus on the “Quest Clear” screen. Fixed an issue in which the Follow and Follower categories of the Friend List would sometimes display erroneous information. Fixed miscellaneous text errors in the game. *The Summer Event, “Summer Break Beach Memories” has ended. The Ranking feature has been implemented. The roulette has been updated with a new design. Items such as Medals, Tickets, Stamina Restore and more can now be viewed from the “Items” section of the inventory. The game can now be controlled with the D-pad. Friend: Switch between tabs in the “Friend List”. Lab: Switch between tabs in the “Buy Items” section. Quest: Alternate between modes and difficulty settings. Capsule: Alternate between Capsule options, prize types and Hero rarities. A Hero’s position in the team composition can now be shifted using the ZR&ZL buttons. Friend: Select the desired Support Hero. Lab: The “Sell” button on the “Sell Items” screen. Lab: The “Enhance” button on the “Enhance Equipment” screen. Arena: The “Find Match” button for matches. Co-op Quest: The “Find Match” button for quests. 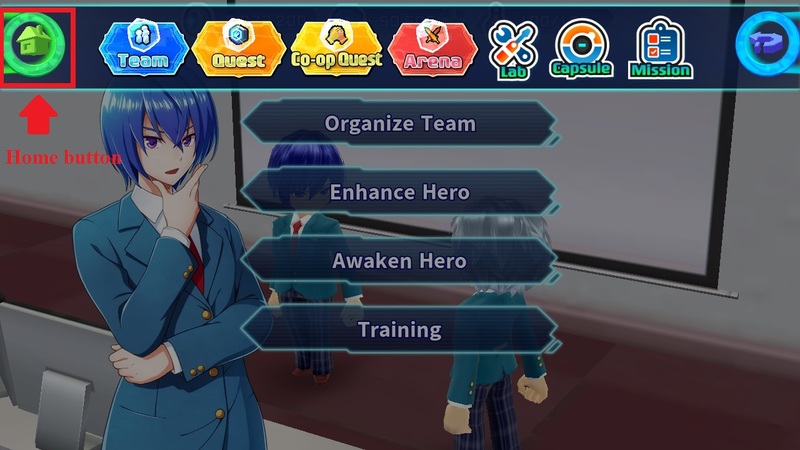 Team: The “Save” button for Organize Team, the “Enhance” button for Enhance Hero, and the “Awaken” button for Awaken Hero. Made several adjustments to text in the game. Fixed the name of the SR Capsule Ticket, incorrectly named “Zero to Hero!”. Fixed an issue in which the required amount of experience to raise the Player Rank was not the intended amount. Fixed an issue where “All Clear” was not being displayed after achieving 100% on all parts of an Episode. Fixed an issue in Co-op Quests where players were occasionally unable to proceed to the next wave of enemies. Adjusted it so that the Hero becomes invulnerable while below the surface. Increased the hitbox of the attack, making it easier to hit the enemy in each stage of the technique. Adjustments have been made to the content available in the Limited Daily Quests. Increased the hitbox for enemies appearing in the Summer Break Beach Memories Event. Reduced the conditions for a user to be displayed as a Suggested Friend. Adjusted the dialogue in the Summer Break Beach Memories Event. Fixed an issue which occasionally caused the game to become unresponsive after an enemy and the Leader are defeated at the same time. Fixed an issue which caused the LP replenishment timer to reset after dispatching for a quest. Fixed an issue in which pausing the game during battle would cause the boss spawn animation to run continuously. Replaced an incorrectly placed Map Tile with the correct one in Part 5 of the Summer Break Beach Memories Event Quest. Fixed an issue where the ‘Chapter Clear’ animation would sometimes display after completing a Daily Quest.